I posted this article on my weight loss website earlier. I feel that it is worth sharing. I hope you agree. Is it possible to lose weight without dieting? Although the answer is yes, be careful. In nearly every instance, this kind of a promise precedes a scam. The fact remains, however, that many people can lose weight and not have to go on a diet. 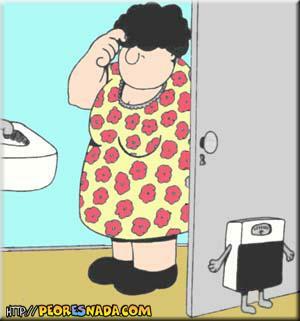 You may be able to lose weight without dieting by employing the following simple weight loss tip. Too many of us drink soda. Soda is LOADED with sugar and sugar means added weight. 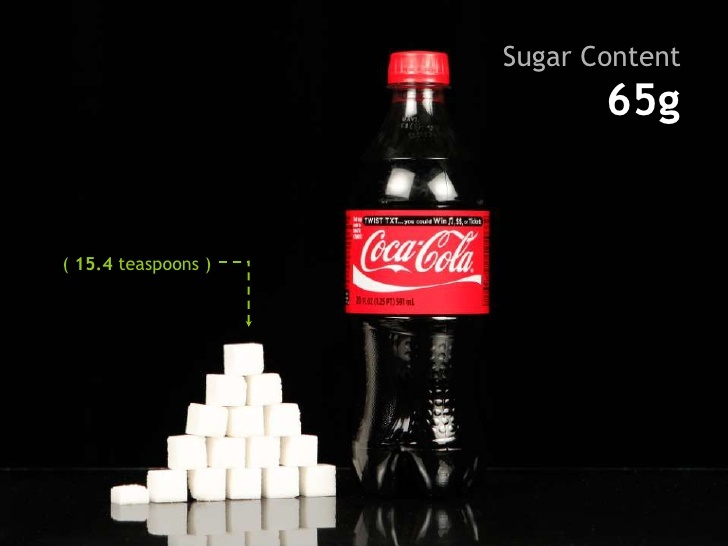 Each gram of sugar represents 4 calories. A 20 oz. coke (above) has 260 calories! A 12 oz. 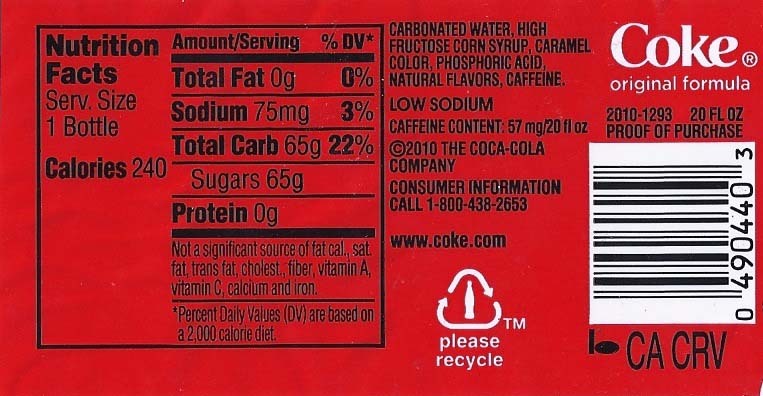 can of coke has 39g of sugar which is 156 calories. Ah...but your are drinking 'Diet Soda'. Unfortunately, some diet soda is loaded with sugar!?? The above generic diet soda contains the same amount of sugar (39g), even though it is diet. The lesson here is to please Read The Label. 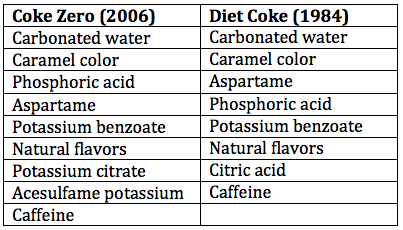 There are some diet sodas that have zero sugar, but they are loaded with chemicals. Most of us are aware that foods like candy, cake, and ice cream are filled with sugar. Many 'healthy' products are high in sugar. You may be surprised that foods like yogurt, peanut butter, granola bars, spaghetti sauce, bread, flavored waters, energy drinks, and cereal are high in sugar. Most yogurts are high in sugar (20+g sugar). 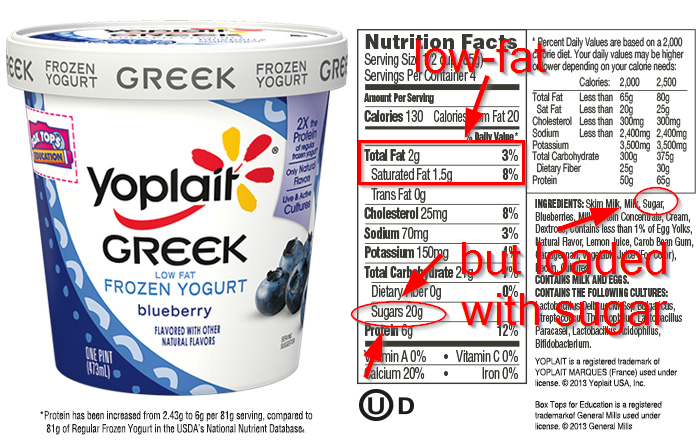 Usually Greek Yogurt is around 5 or 6g of sugar, but not all Greek Yogurts as you see above. Read the Label. No sugar, low, and low carb does not mean no sugar!?? No sugar usually means that the product contains a sugar substitute. There are many sugar substitutes. Aspartame, saccharin, stevia, and sucralose are a few of the chemical sugar substitutes. Honey, maple syrup, coconut sugar, and corn syrup are some of the natural substitutes. If an artificial substitute is used, you are subjecting yourself to chemicals that may be toxic, if natural substitutes are used, they may or may not be a better choice than sugar, but they will contain sugar. READ THE LABEL. For more information, see 'Sugar vs. Sweeteners'. 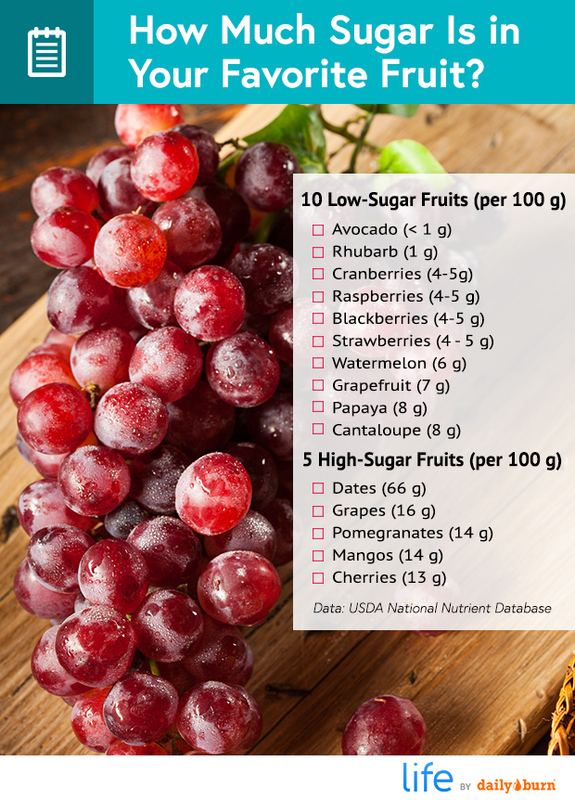 Even some healthy fruits have sugar levels that are higher than we might expect. lose 100 or more calories a day with virtually no effort. Simply reading labels will make you aware of products with high sugar. Rather than giving those foods up, look for a healthy alternative. One gram of sugar equals 3.87 calories. It take about 3500 calories to equal one pound. This means that about 905g of sugar will equal one pound of weight loss. You only need to lower your daily sugar intake by 30g of sugar for each pound that you want to lose! You might be able to do that by just reading label alone! One more suggestion is to WALK. Dr. Oz suggests 10,000 steps per day (about 5 miles). See my Dr. Oz's Ultimate Diet Review. A rule of thumb is that you and I can burn about 100 calories for every mile that we walk. A mile a day relates to about 15 to 20 minutes of your time. Allow me to add that exercise time may be the best investment of your time that you can make. 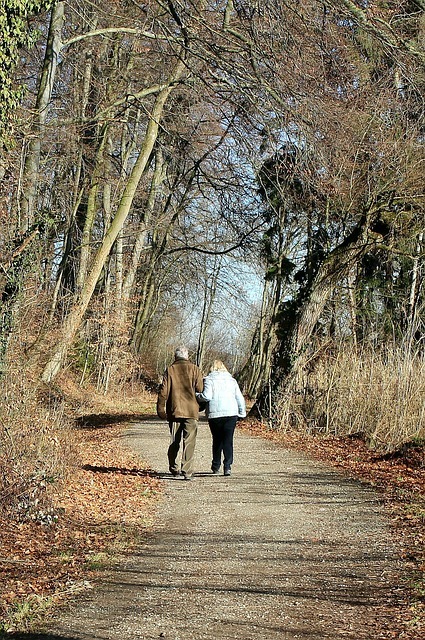 ONE hour of walking or exercise can add SEVEN hours to your life (NY Times). Exercise is the best investment you will ever make! You and I both know that from what you have seen above, you can save at least 30g of sugar per day with minimal effort regarding your diet. Your minimal effort is to READ THE LABEL. If you would add at least a half hour per day walking, which is what the experts agree that we need, you should burn 150 to 200+ more calories depending on how fast you walk. 30g of sugar daily (which is easy) will mean a pound a month. 150-200 calories per day walking will burn about 4500 to 6000 calories per month adding another 1.3 to 1.7 easily lost pounds with a BONUS of an additional 105 hours added to your life! Lower Your Health Risks such as diabetes, high blood pressure, high cholesterol, and cancer. You need to read labels, at least at first. After a while, you learn what is good for you and what is not. 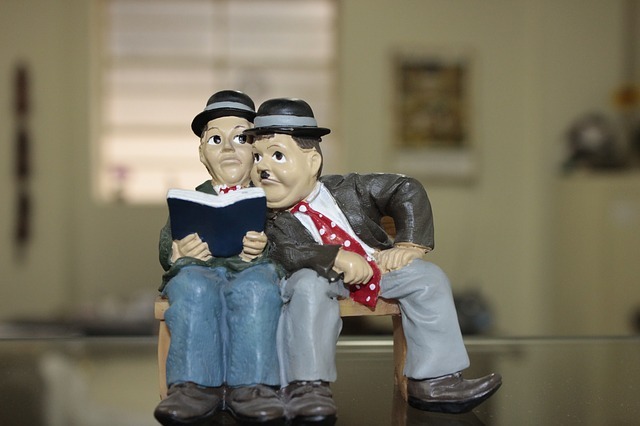 You can look forward to reading less and less labels over time. You can lose weight without dieting! If you want to add exercise, you can lose even more weight and LIVE LONGER! Since label reading alone can save you a pound or two per month and walking can add another 1.5 pounds, I conclude that many people may be able to benefit with little effort. 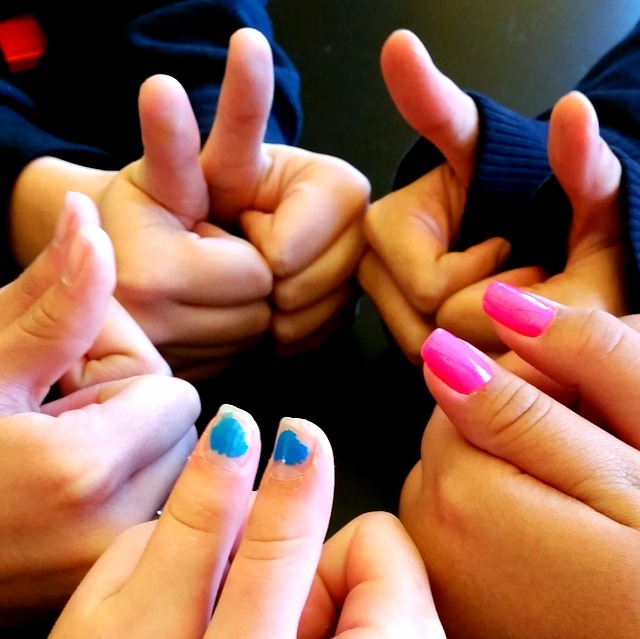 I give Lose Weight Without Dieting two thumbs up!